For the promotion, chefs have been specifically brought in from Ahmedabad by Gujarat Tourism to present authentic dishes from the cuisine. 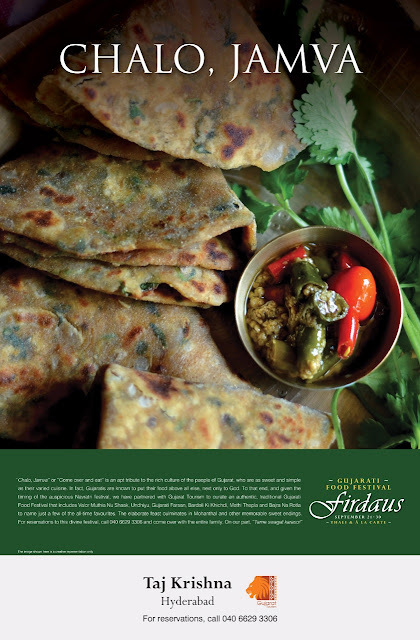 The festival is presented in form of a complete Gujarati Thali (Rs 3000) as well as a-la-carte dishes. A special starter platter with delicacies like Handvo, Methi Na Muthia, Petis Corn Tikka is also available for people interested only in short eats. 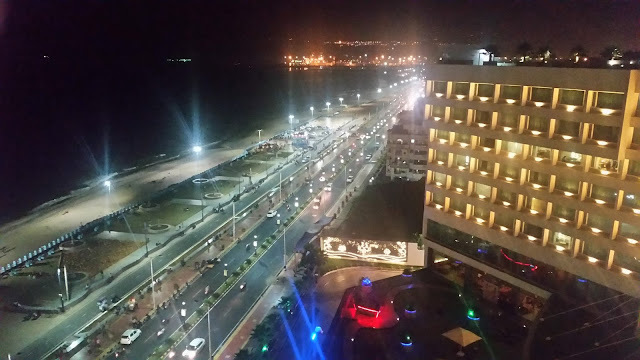 The main courses include signature a-la-carte dishes like Undhiyu, Kadi and Dal Dhokli. They also have a separate platter exclusively for Farsan lovers. At a blogger’s preview, we were first presented with a starter platter. There was this dish called Petis Corn Tikka, a soft fried cutlet with potatoes and corn was my favourite, “petis” being the typical pronunciation of Patties in Gujarat. The Dhokla served was of top quality, very soft and tasty. Patra, a roll of pickled colocasia leaves was sweet and spicy. I did not like the Handvo, one of the popular dishes from the cuisine -it was quite tasteless and I have had better versions. Methi Na Muthiya and Khandvi were the other starters served, with the latter plated very nicely. 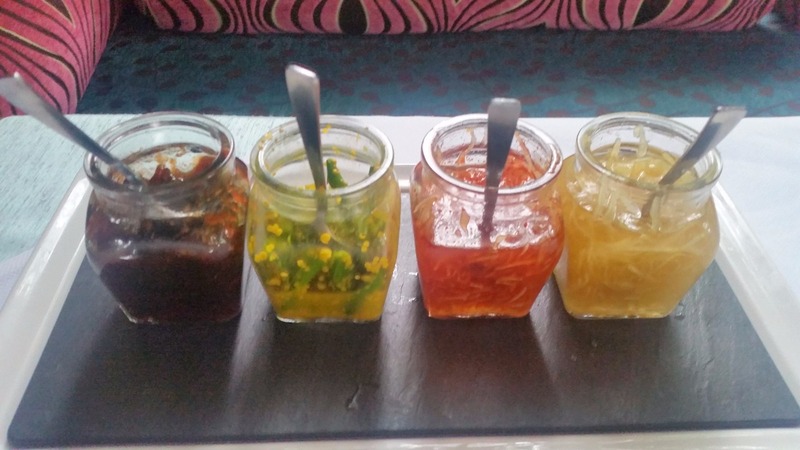 A special mention must be made of the set of four Gujarati pickles served on the table. The Raiwala Mircha or green chilies in mustard paste went well with most of the starters. The Murabba and Chunda were also delicious. 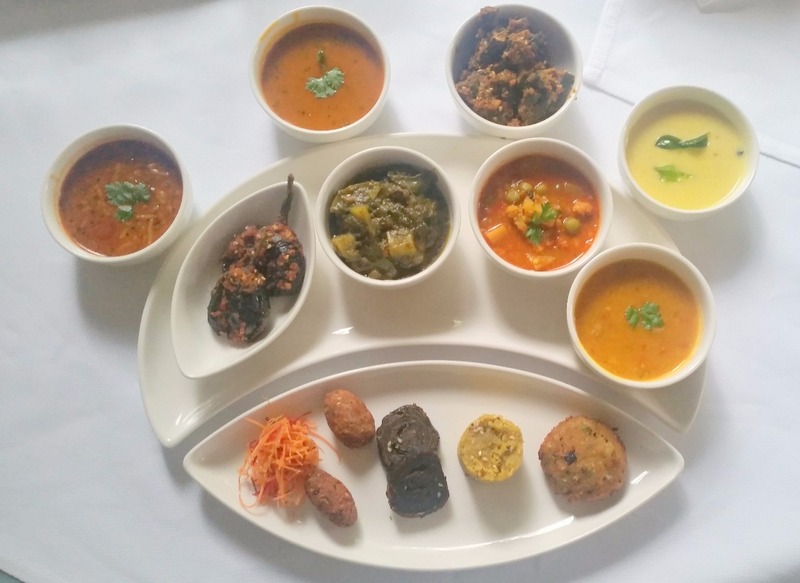 The main thali had about eight different courses. Undhiyu, the mixed vegetable dish was of the Surat variety which had more of green masalas. The Bharwan Ringan or stuffed eggplants was the least sweet of the preparations, and the coconut based masala went well with the Methi Theplas served. Sev Tamatar, a tomato based gravy with crisp sev sprinkled on it, was possibly the only tangy dish on the menu. The Gujarati Dal was too sweet for me, while the Bhindi Masala was par for the course. 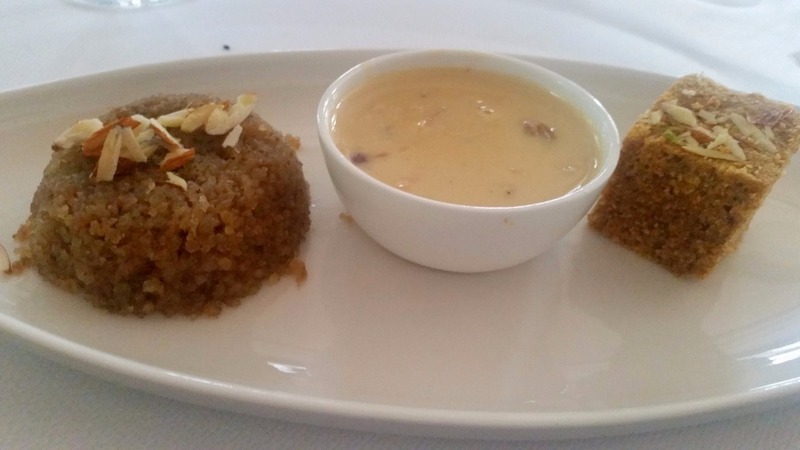 Bardoli Ki Khichdi, the Gujarati version of the popular dish was surely soul food. 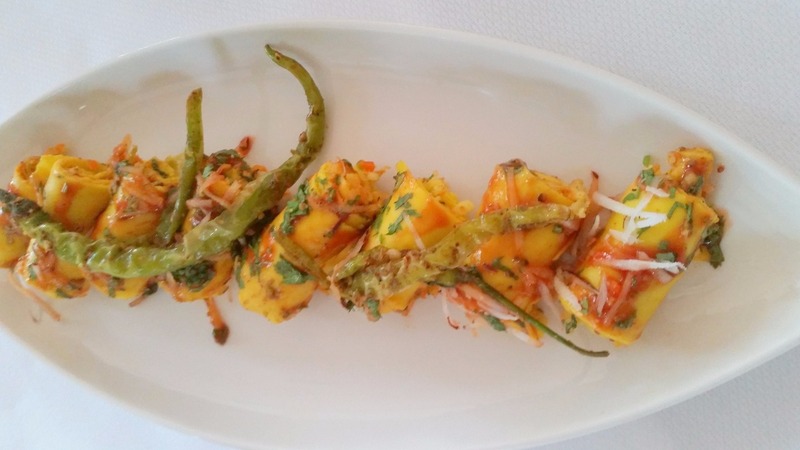 Savoured along with Kadi, a touch of raiwala mirchi made the taste even better. The quantity of each item served on the thali was quite large, in my opinion, good enough for two people. Of the desserts served, Dudhpaak or cardamom flavoured rice pudding was mild and lovely. Ormu (wheat based sweet) and Mohanthal (a gram flour and dry fruit dessert) were the other two served on the platter. 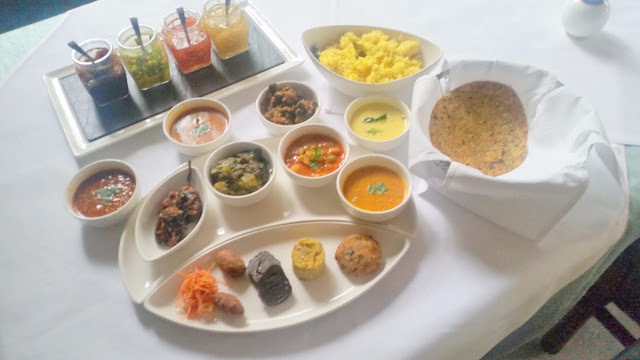 Taj Krishna and Gujarat Tourism have especially taken care that the items chosen provide an overall view of different dishes in Gujarati cuisine. As expected, most of the dishes are on the sweeter side. I am not judge of the authenticity of the dishes, but can safely say that most of the dishes were very decent in taste.